Start out with your basic text. 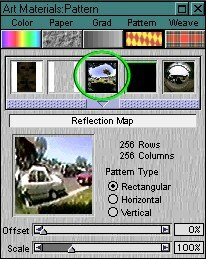 Select this thumbnail in the pattern box. 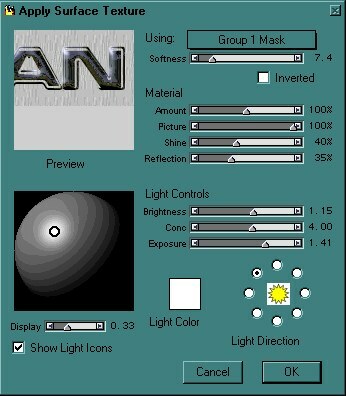 Go to "Apply surface texture" and set it using "Group 1 mask. Change the "Softness" to 7.4 , "Amount" to 100% and "Reflection" to 35%. And click OK.
And there you have it! Some nice looking chrome!